Your search is over for the best moving companies Springfield, VA has to offer. Our professional service spans the entire Springfield locality and beyond. Whether we are assisting a move across the street, across town or beyond the state line, you can trust and depend upon us to be efficient, careful, and affordable. We listen. Because no two households or families are the same. We take our job seriously and personally. We strive to provide only the highest quality service while maintaining reasonable rates. Our team is always well-trained, professional, and courteous. Our licensed, Bonded & Insured professionals provide quick and efficient local moving and packing services on an hourly basis to Springfield and its environs. Rates do vary by location and by the time of year, so please don’t hesitate to call us to discuss how best we can meet your needs. If you’re making a big (or not so big) move out of Springfield to another state, we can help! Our moving pros will help you with everything from start to finish, be it packing or storage or both and, of course, with the transportation of all your belongings. We are the best at what we do, so you can rest assured that your move will be as stress-free as possible. When you are ready to begin packing at your current residence, we can be there to help safely and efficiently move your items to your new home or, if you prefer, some or all them into storage. Wherever you are moving and no matter how tough the move may seem, we’re ready to help. We are just a phone call or email away. Contact us for your free, customized moving quote! Our highly competitive rates are generally determined by the amount of time required for your moving process and the number of our pro local movers needed for your tasks. Please note that there is also a trip charge added for the drive time spent for our Springfield movers to get out to your home and back again. When you contact us, this is all clearly explained so as to provide you with an accurate estimate. In a bind and need last-minute packing supplies? Problem solved! All you need can be provided by us. We also offer a full range of packing supplies such as multiple-sized boxes and custom made crates for belongings like that big flat screen television, your delicate tea set, the king size mattress, the grandfather clock or even that glass mirror. And, should you need these packing items, we will deliver them to your door for free, as long as you spend over $100 on your purchase. Your storage needs are met! If you need storage for your items our warehouses are secure, temperature-controlled, and clean. Should you prefer, we are happy to transport your items to a different storage facility of your choice. Examples are 7400 Alban Station Boulevard, Springfield, VA 22150, 7150 Fullerton Road, Springfield, VA 22150, 7331 Steel Mill Drive, Springfield, VA 22150, and 6880 Commercial Drive, Springfield, VA 22151 – There are also others available, just call us for more info. We’ll fill you in on our many storage options and our reasonable rates! We are the professionals with the expertise you need to ensure a smooth moving experience. We extend our professional services to places like Central Springfield 22150, North Springfield 22151, West Springfield 22152, Newington 22153, and beyond! We are your best choice in Springfield- We eagerly wait to prove it to you! The movers were fantastic they took care of my things and explained what they were doing all through process. They worked so efficiently they saved me $500 in the end. 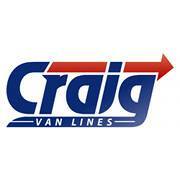 Would recommend Craig Van Lines to everyone. Thank you so much for posting a review. We are so happy that you were pleased with the services we provided and greatly appreciate your recommending us to your friends. Great job....guys worked quickly and efficiently and were friendly and pleasant.